World Carols for Choirs is a ground-breaking collection including new pieces and arrangements from some of the world's finest carol composers as well as from writers whose work may be new to many. The editors have searched the globe for vibrant, exciting music representing a range of choral traditions and styles. Each piece may be sung in its original language or English, and pronunciation guides are provided for those who wish to sing the original texts. This collection will help to refresh the repertoire of choirs the world over, with most pieces suitable for choirs of all sizes and abilities. 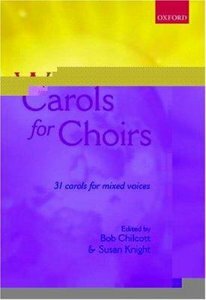 About "World Carols For Choirs"